Before Tamiya announced the return of the Buggy Champ in 2009, I never thought this would ever happen. But as we all know, Tamiya surprised us with fantastic re-releases over the last years. 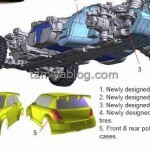 And finally after the release of the Sand Scorcher 2010 it seems that Tamiya is possible to make every dream come true. For me it was a real experience to build such a historic car. I´ve restored a Super Champ in the past, but to build a SRB from new is another thing. As a regular visitor on tamiyablog, you may know that we try to use different colours and paintschemes on most of the Tamiya re-releases. So this Buggy Champ is no exception. This time Tamiya “TS-39-Mika Red” was used. The car is totally stock, except for the alloy wheel covers which give a more authentic look to the whole car. Sometimes, it seems unreal for me. You can really buy new SRBs ? Again, a big “THANK YOU” to our favourite company. 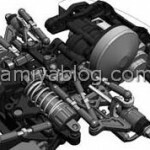 This entry was posted in Customized Builds on April 19, 2010 by dunebuggy. Recently we reported the first report, “2WD Purototaipubagi” commercial decision is finally out! 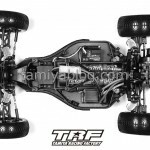 While placing the motor shape Riyaendo conservative, and a transmission case and Shashidezain, TRF has been cultivated so far, bringing together expertise Haiendoreshingu various 2WD is buggy. 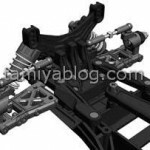 2WD transmission case needed to be buggy (gearbox), the ball differential 3 / 32 × 12,2.6 Defusukuryu inch ball Ф, adopting a new design thrust. Gear teeth and ball shape is also attention Defukyaria Hall, delivers the best performance from a long shakedown. 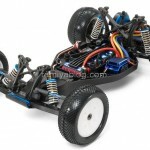 The Main Chassis batteries upright, has reduced weight and high strength glass filled nylon. Riyakushon combine with split lines, such as optimizing Shashirorubaransu material. The off-road skid side of the key gaps, we seek the best shape while reducing center of gravity. As other equipment, the HL Eareshondanpa Court cylinder, Chitankotopisutonroddo, Teflon guide, Tefuronshiruborubearingu (1510,1050,850,840), blue titanium turnbuckles specifications, kit contents and full universal type WO It is. 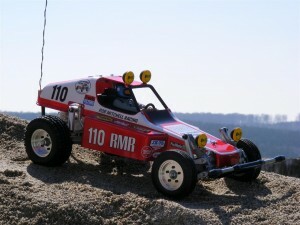 January 2010, Japan held Tamiya Off-Road championship! 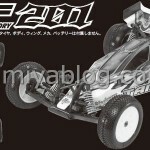 2WD buggy according to the new release, Tamiya Grand Prix class for the 2010 summer national championships (2WD, 4WD will) set. Gathered together representatives of the top players and tournament results, January 2010 championship will be held at 29 and 30 days Sakittoofurodokosu Tamiya Kakegawa! Tamiya is proud to announce the release of the FF-03 PRO, the newest touring car chassis kit in our line-up. The FF-03 chassis features a horizontally-placed front-motor, frontwheel drive and comes enhanced with a range of high performance parts to offer you a new driving experience. 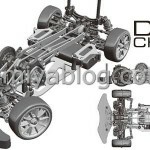 Due to its unique chassis layout and FWD setup, you can enjoy a style of driving different from 4WD chassis machines. 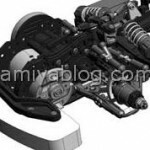 The chassis features a newly designed lower deck and comes with a compact front gearbox. 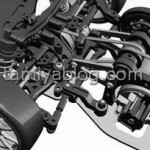 Suspension is equipped with short reversible suspension arms and TRF416 uprights on the Inboard Front Suspension (IFS) setup. True to its name “PRO”, high-spec parts such as TRF dampers, aluminum turnbuckle shafts, and aluminum ball connectors are also included in the kit. For more information on included Option Parts, refer to the next page. 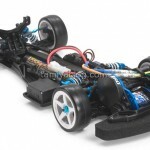 Chassis length: 384mm, Overall width: 185mm, Tread: 157mm, Wheelbase: 257, 245, 233mm. 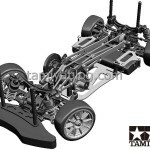 FWD chassis features front-mounted motor and is designed for optimum weight distribution and a low center of gravity. 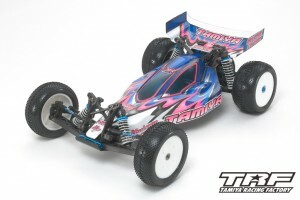 Tamiya is proud to announce the release this High-End Drift Machine. This machine adopts a front midship motor layout (motor within wheelbase) for optimum balance which is essential to drift driving. 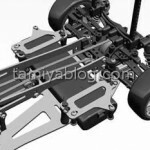 The upper frame features vertically mounted carbon plates which improve chassis rigidity while also providing enough flexibility during drifting. The parallel geometry steering system provides this machine with excellent control of counter steering. The especially designed battery holder is adjustable and is compatible with Ni-Cd, Ni-MH, LF batteries. Glass tape can also be used to secure the battery. Front: Ball Diff., Rear: Spool Diff. Front and rear universal shafts. Uprights feature 1050 ball bearing specifications. TA05 Front and rear bulkheads (Resin). 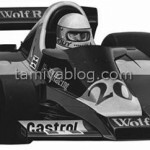 Among F1 fans, one legendary machine that stands out with its vivid gold lines is the Wolf WR1 which now comes realized as a 1/10 R/C machine loaded on the F104 chassis. Led by wealthy Canadian businessman owner Walter Wolf, the WR1 made its debut at the 1977 Argentine GP and started the race in 11th position. Driven by team driver Jody Scheckter, the WR1 went on to win the race and record the first ever win for the team. The 1977 season saw Jody Scheckter win three championship races and finish overall 2nd in the drivers championship. 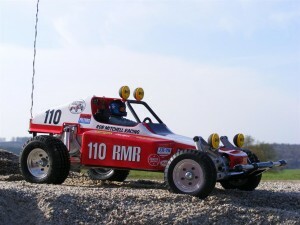 This is a limited edition 1/10 R/C assembly kit model of the Wolf WR1. The F104 chassis has specially designed features such as F103 front arms to allow you to mimic the dimensions of F1 machines of the 1970’s. Keeping true to the 1970’s style, the WR1 comes with large sized rubber rear tires like the Tyrrell P34 Six Wheeler 1976 Japan GP (Item 84111) and small front wheels which provide the machine with a realistic scale presence. The body is accurately reproduced with durable polycarbonate. Sticker sheet depicting the WR1’s famous livery included. A resin bumper is equipped under the front wing to protect against shocks and crashes. 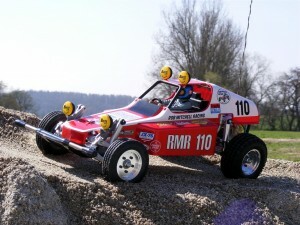 Tamiya is proud to introduce a new addition to the very popular M Chassis range, the M- 05Ra. Like the M-05, it shares the same chassis layout with the servo, receiver, and ESC positioned for improved weight distribution and a lower centre of gravity. Furthermore, this chassis features new front and side bumpers for extra protection as well as different attachment positions for dampers and upper arms for a wider range of suspension settings. Newly designed 60D rally block tires also feature their own unique tread pattern. The 2005 Junior World Rally Championship season was mainly a two-horse race between Suzuki and Citroen, and in the end the Suzuki Swift Super 1600, which was introduced at Round 5 Finland, just barely lost out on the title. Tamiya now brings you this superb machine as an assembly kit R/C model on the new M-05Ra chassis. All the features of the compact rally car’s body has been accurately reproduced in durable polycarbonate, including separately-molded light cases. Side mirrors and rear wing separately molded. Included polycarbonate guards protect the motor and battery pack against dirt and debris. Length: 347mm, Width: 168mm, Height: 138mm. 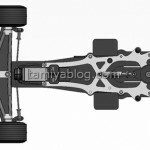 Middle wheelbase: 225mm. 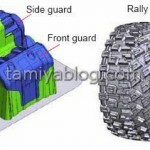 Newly designed 60D rally block tires included. Install separately available Tamiya LED Light Unit (TLU-01, 53909) for exciting light action. This entry was posted in Future Releases on April 7, 2010 by admin. This exciting new prototype will be featured in the May issues of Japanese R/C enthusiast magazines RC Magazine and RC World (both on sale in early April). 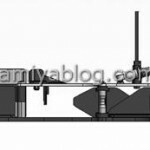 Although it is still undergoing development and the specifications have not been finalized, here is a brief glimpse of the machine. Chassis with longitudinal battery layout. Equipped with slipper clutch and ball differential. Front and rear long-span suspension. Front and rear aeration dampers. Fitted with Wide Operation Angle (WO) universal shafts. Specially-designed body and rear wing. 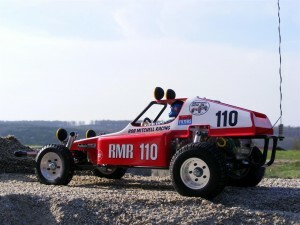 This machine was entered in the Yatabe International Offroad Grand Prix 2010 in Japan, and at the hands of TRF driver Satoshi Maezumi, achieved 1st place in one of the heats on its debut. It was also raced by new TRF driver Lee Martin (UK) at the recent Cactus Classic off-road race in the United States, where it placed a respectable 11th against the local favorites. More details regarding this incredible new machine will be announced as we approach the Shizuoka Hobby Show! This entry was posted in Future Releases on April 5, 2010 by admin.